The outdoor areas that include patio, lawns, green landscape and enclosed porches leave the very first impression on your visitors when they are about to enter your premises. In order to make them look attractive we have to equip them with some reasonable furniture ranges. If you are going to opt for the market oriented wooden furniture items then you must not be scared when your finances are drained out literally. Because the sky high prices are going to leave your budget in shambles. 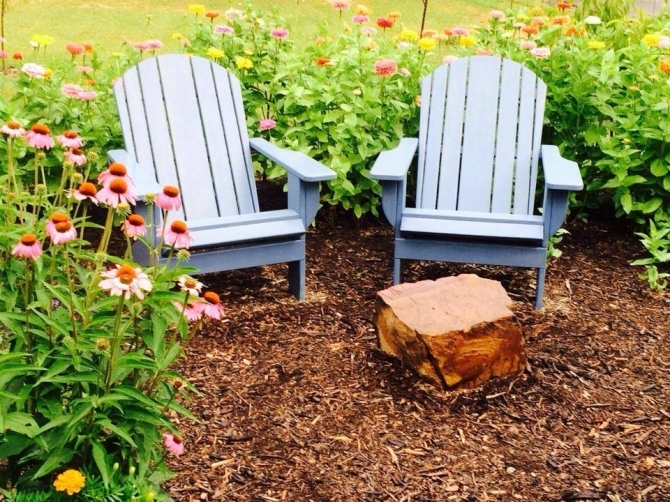 But if you are gutsy enough to exploit the pallet wood, you can really maintain your macho impact by making your desired outdoor furniture range. 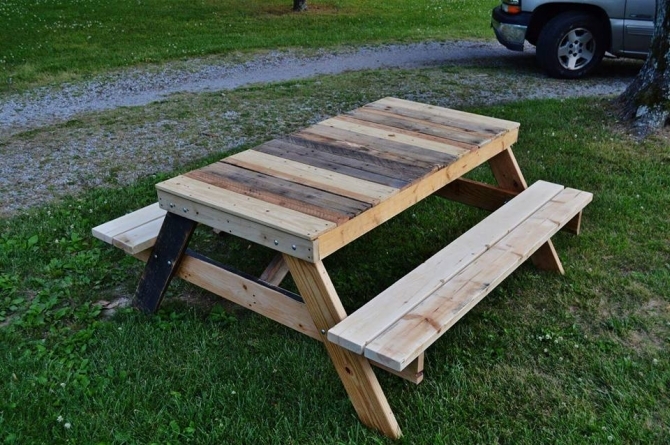 Apparently, this is a wooden pallet bench that is made by some fanatic pallet wood crafter who has turned this ordinary furniture article into an epic pallet wood creation by making a built in shade above the seating space. I would like you guys to make some critical comment on this wooden pallet creation. I find it a reasonably designed pallet wood couch made with some the freshest pallet having ultra luxurious armrests, and the spacious sitting space also offer you a perfect sitting posture. 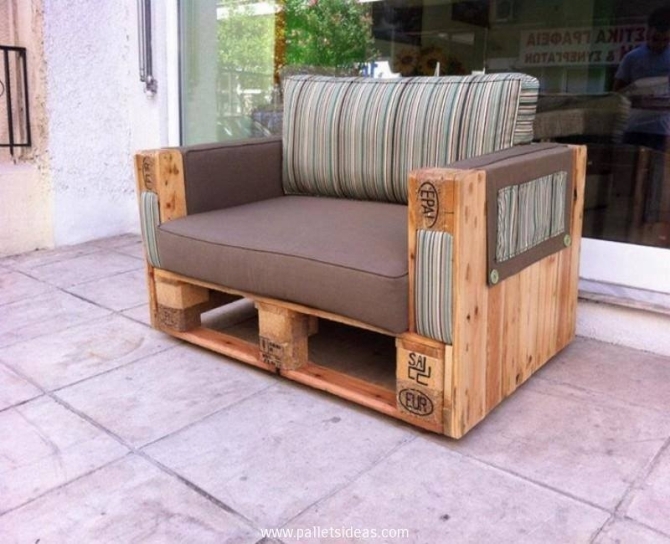 This wooden pallet couch would just look perfect wherever it is placed. 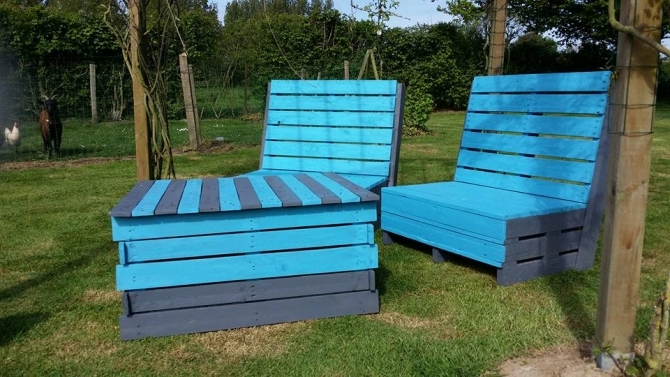 And here comes a stylish and sleek sun lounger made with the recycled wood pallet. We can clearly see that a very cautious selection is made for the shipping pallets as this was supposed to be an outdoor item. So we did it in a pretty professional manner. Well, this sitting arrangement could be conceived as an auditorium or a domestic theatre or a mere friends gathering spot. Whatsoever use is made out of it, this would really do a great job as a large number of audiences can be accommodated here at the same time. 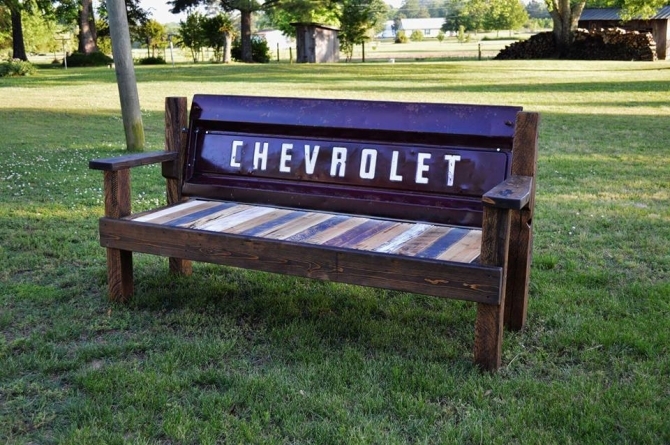 Just imagine how crazy are the pallet wood crafters who can go to this extent to use some of the reclaimed car pieces in a wood pallet repurposed outdoor bench. They actually have given it an industrial touch by using this iron sheet which actually added immense charm in the rustic pallet wood creation. 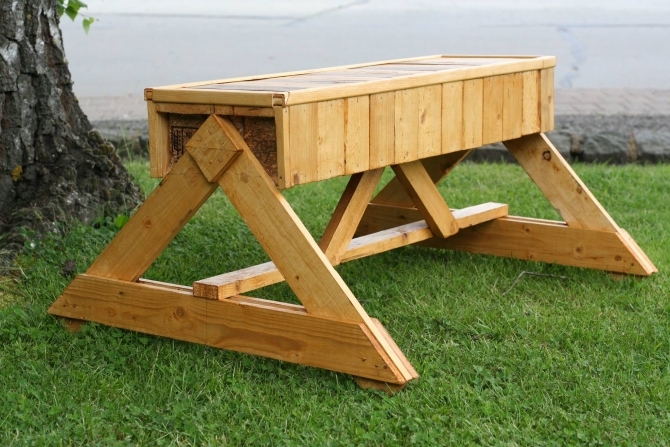 How about this portable table along with the attached wooden pallet benches? Wouldn’t it be a great remedy while sitting with your family in a casual mood and having sips of coffee and chatter with your kids. The specific design of this article would render them all the ease and comfort. 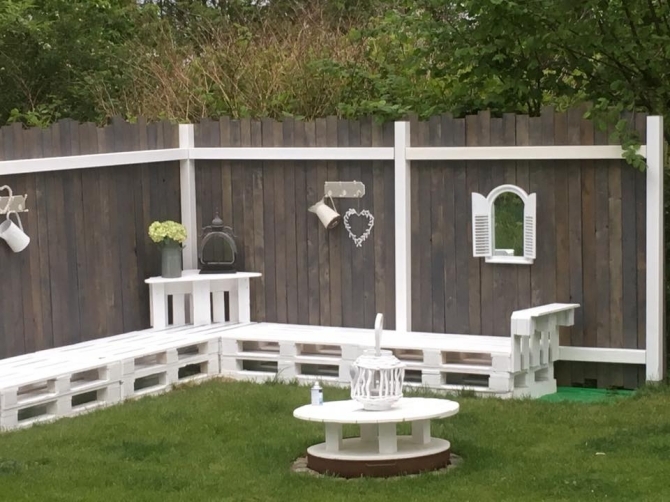 Outdoor pallet wood creations are preferably kept rustic because the natural look of the pallet wood makes them more attractive and fascinating. Therefore we have denied the staining of outdoor furniture items intentionally. And I think it really works. 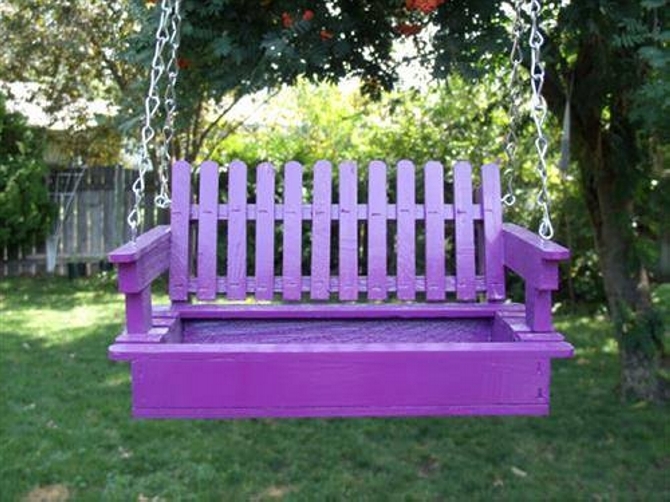 Who on planet earth would say that I don’t want this wood pallet recycled swing? I know many of you have already lined it up as your next summer project. 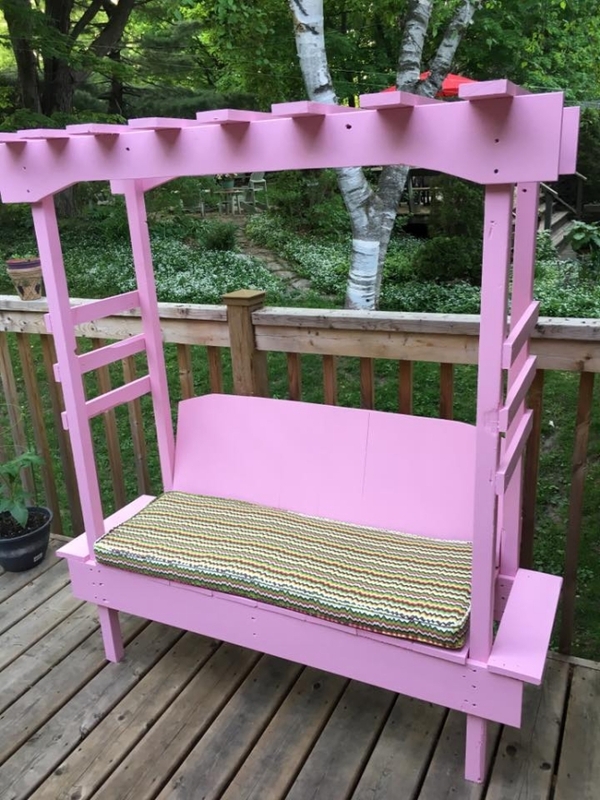 No matter if you are left with some broken pallets, they would still work in this wooden pallet upcycled swing.